We’ve watched Ellen Pompeo as Dr. Meredith Grey on Grey’s Anatomy for 13 seasons, but in 2004 she was in an episode of Friends called “The One Where The Stripper Cries.” Don't worry, Mer fans: Pompeo was not the stripper! Instead, in a flashback to 1987, she played Missy Goldberg, a college classmate of Chandler and Ross, who made a pact that neither of them could date her since they both had the hots for her. Before winning an Oscar for her role in "Fences" and captivating TV audiences as Annalise Keating, Viola Davis didn’t know How to Get Away with Murder as corrupt former officer Terry Randolph in a 2002 episode of Law & Order: Criminal Intent. Davis also recurred on Law & Order: Special Victims Unit as lawyer Donna Emmett. Before taking the role of expert hacker Huck on Scandal, Guillermo Diaz was drug-trafficking gangster Guillermo Garcia Gomez on Weeds. In the long-running Showtime series, Guillermo tangled with Mary-Louise Parker's drug-running, suburban soccer mom, Nancy Botwin. When he wasn't trying to kill her, he loved flirting with his "Blanca," as he called her. She played Zoe Washburne, the gun-slinging, right-hand woman to Nathan Fillion's Captain Mal Reynolds in Firefly" (as well as a memorable time on Suits as legal powerhouse Jessica Pearson), but now Torres is one of the new faces on the second season of The Catch, playing FBI agent Justine Diaz. It may be tough to imagine but Kerry Washington wasn’t always playing fearless ball-bustin' roles like political fixer Olivia Pope on Scandal. In 2001, she was a struggling teen mom who befriends Julia Stiles' character in the hit movie Save the Last Dance. Was Bailey a party girl when she was younger? We're not sure about that but we do know that Chandra Wilson, best known as tough-as-nails Miranda Bailey on Grey’s Anatomy, turned up on an episode of The Cosby Show as a friend of Theo Huxtable (Malcolm Jamal Warner). She played Dina in "The Lost Weekend" episode in 1989. 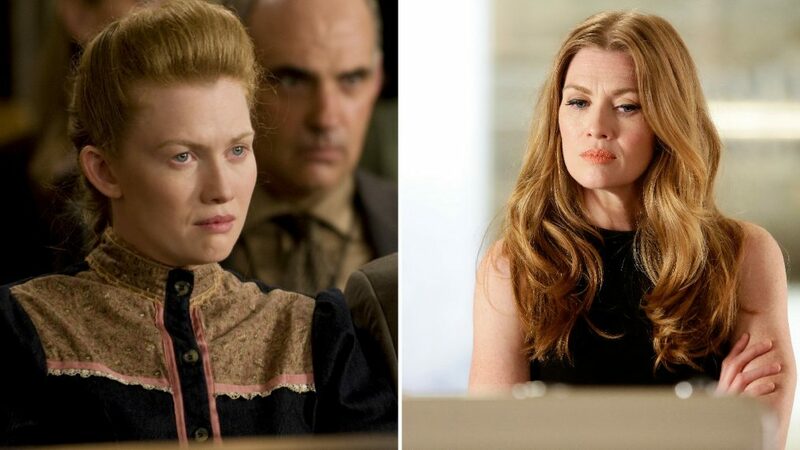 She played twin sisters Kathy and JoDean on HBO's bigamy drama Big Love but now Mireille Enos has taken charge as private investigator Alice Vaughan in ABC's "rom-con," The Catch. Before he started breaking all of the rules as surgeon Dr. Owen Hunt on Grey’s Anatomy (remember the pen tracheotomy? ), Kevin McKidd was a staunch and traditional Roman soldier named Lucius Vorenus in HBO's Rome. Tony Goldwyn first grabbed our attention as Patrick Swayze's BFF in 1990 hit film Ghost, but we found out quickly that Carl Bruner was more villain than friend. Of course, Goldwyn would make us swoon all over again as President Fitzgerald Grant in Scandal. He may be having problems of a different sort as Cyrus Beene in Scandal, but remember when Jeff Perry was Thatcher, Ellen Pompeo's estranged father on Grey’s Anatomy? The pair didn't have your typical father-daughter relationship, but when Thatcher needed a piece of Mer's liver, she obliged. Alfred Enoch just ended his run as Wes Gibbins on How to Get Away with Murder, but maybe a bit of magic will bring him back in future episodes. The Brit has a charmed past from when appeared in several of the Harry Potter movies as Dean Thomas. Sporting a lighter, softer mane, Bellamy Young played Dr. Grace Miller, a surgeon on Scrubs who wasn’t afraid to speak her mind. On Scandal, Mellie Grant had to find her voice to eventually move on from her philandering husband (and presiden) Fitz to make her own run for the Oval Office. 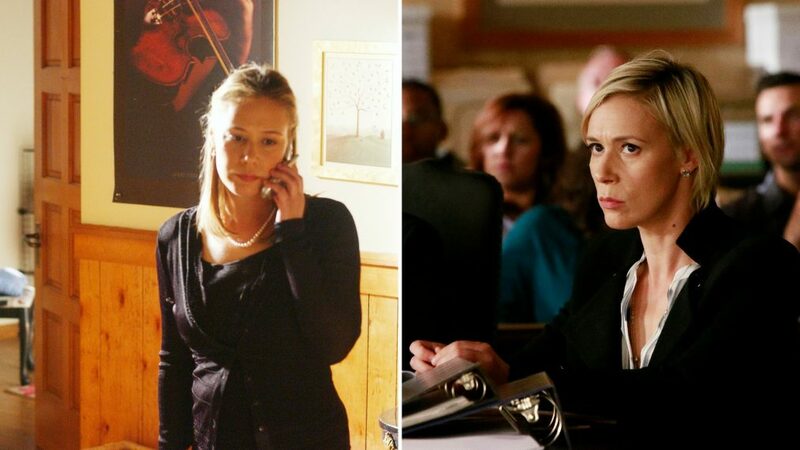 Liza Weil played smartie Paris Geller on Gilmore Girls where she ended up being besties with Alexis Bledel's Rory Gilmore. However, Weil's Bonnie Winterbottom has a much more complicated relationship with Viola Davis's Annalise Keating on How To Get Away With Murder. The life of a Hollywood actor is full of ups and downs and it's a given that before they hit it big, they may have to play a number of small roles in an effort to "pay their dues." Looking at the crop of accomplished Shondaland actors on the shows that make up ABC's TGIT—Grey's Anatomy, Scandal, How To Get Away With Murder and, joining the Thursday night lineup this week, The Catch—there's a plethora of roles some of the actors may want to forget but, of course, we never will! Flip through the gallery above to see Kerry Washington, Viola Davis, Alfred Enoch, Bellamy Young, and more TGIT stars before they were, well, stars! Mireille Enos discusses the looser, funnier take on Season 2 of the Shonda Rhimes-produced ABC caper 'The Catch'.